We’re Grace (she/her) and Arya (he/him), we’re both PPEists at Hertford and we’re very excited to be your co-chairs for this term. Outside the Oxford bubble, we’re proud to come from Wales and Manchester respectively. Labour has been a huge part of our lives. We’ve met some our of our closest friends through the Club, and the party has become a family to both of us. In few cities is inequality so stark as here in Oxford, where future leaders walk past homeless people every day on the streets. It’s more important now than ever to campaign for change. That’s why our term will put campaigning at its forefront. We have lots of exciting campaigning events as well as a range of great speakers, and we really hope you will enjoy our term which means so much to us. I’m Morgan (she/her), a master’s student in Modern British History and this term’s secretary. I became interested in politics and activism growing up in Ireland under the shadow of the 8th amendment, and have been an active Labour party member since moving to the UK in 2015. I did my undergraduate degree at Queen Mary, where I was co chair of the Labour Society and campaigned across the city during the 2016 mayoral, the EU referendum, the 2017 GE, and seemingly innumerable by-elections. I actively enjoy minuting and look forward to helping OULC run smoothly, campaign ardently, and be more punk rock. If you have any questions relating to the club’s procedures, constitution, or meeting agendas, don’t hesitate to contact me at morgan.jones@seh.ox.ac.uk. Hey, I’m Isabella (she/her), a second year studying English. Having suffered for years trying to deal with a rare medical condition in a country where austerity has crippled the NHS, I decided to turn to campaigning for the political party that has the best shot at saving it! I work also as the Disabled Students Officer for the national student activism organisation the Student Left Network, and am here for anyone who wishes to talk about the politics of healthcare. Every term we see people who hesitate to self-identify as disabled because they maybe don’t associate mental health with disability, or they think that not having a visible or life-affecting impairment disqualifies them. This isn’t the case! The disabled students caucus is here to discuss any and all healthcare concerns. As the publicity officer, I hope to take my vast experience running medieval history, D. H. Lawrence, and Nicolas Cage meme pages forward to manage the OULC social media. Additionally, I will be editing our journal Look Left. Please get in contact with me if you’d like to write an article either for Look Left or the blog (it can be about anything to do with left-wing politics, not just the Labour Party). My email is isabella.welch@bnc.ox.ac.uk – or feel free to message me on Facebook! Hey! I’m Michael (he/him), a second year doing Biology at St Hugh’s. As campaigns officer, it’s my job to organise our weekly canvassing sessions with the local party and to coordinate our campaigns on both local and national issues. You can find our latest campaign events on the OULC Facebook page. Newcomers are incredibly welcome at any of our events regardless of experience canvassing/campaigning, we always have friendly faces to show you what to do or that you can accompany when door-knocking until you get the hang of it! Please get in touch if you have any questions, and I hope you’ll come along to some of our campaigning events! Alexander Brindle is a former party researcher, having worked regionally on campaigns in the West of England, in and around his home city of Bristol. In 2016 he was the Secretary of Bristol Young Labour and has been a party member for five years. Alex campaigns on BAME issues, defence policy and refugee rights. He reads PPE at Somerville and is on the University Boxing Team. Hello! I’m Emily (she/her), and I’m currently a second year English student at Mansfield College. 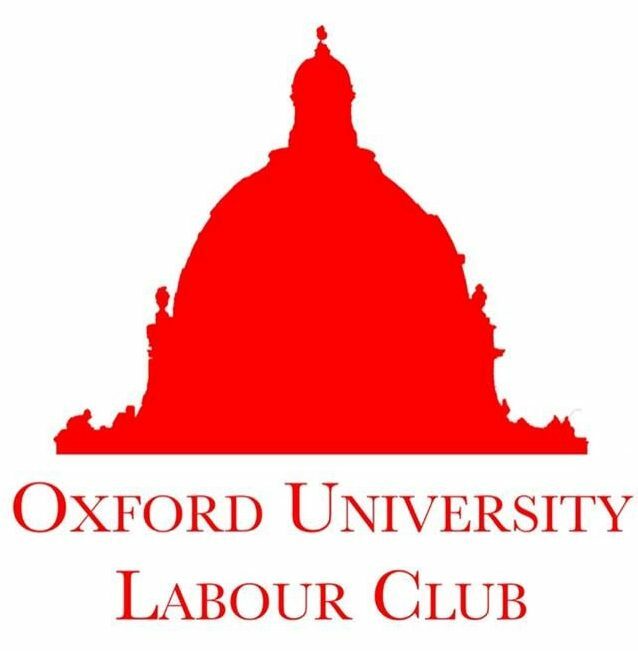 The representation of marginalised social groups in politics at large can always be improved, and within clubs in institutions as elitist as Oxford, this can be a real challenge. Therefore, as Women’s* Officer this Trinity Term, I hope to ensure that the liberation and representation of women* remains within the basic principles of the club. University political clubs can feel like daunting places — I hope to increase the number of women* participating in them through caucus socials, talks and events! I’m Matthew (he/him). My aim as BAME officer this term is to organise socials that also try to incorporate topical discussion on BAME issues, as well as promote events that highlight important matters in the BAME community. I’m passionate about reform of the justice system, promoting economic democracy and enabling tax justice across the world. Heya, I’m Tessa Jowitt (she/her or they/them), a second-year maths student at St Hughs and the LGBTQIA+ caucus rep this term, which means I’m responsible for making sure OULC is a welcoming and comfortable place for queer folks, as well as organising socials for the queer caucus. I’m hoping to encourage activism within OULC and in the wider community, and also, being trans, to provide a different perspective within OULC. Hi, we are Meg (she/her) and Jay (he/him) and we are Co-Chairs Elect for TT19! Our job mainly involves supporting the current Co-Chairs – Grace and Arya – and preparing for our Co-Chair term in Michaelmas. Michaelmas is going to be a BIG term for our Club; not only will we be welcoming a new cohort of freshers, but Michaelmas will also be our Club’s 100th anniversary. As such, we have a host of freshers’ and alumni events in the works, alongside our usual speakers, panels, and socials. We believe that OULC should be a force for progressive change, and we will continue to engage with local issues and campaigns. It’s certainly an exciting time to be an OULC member – so watch this space! Hi we are Rosie (she/her) and Owen (he/him). We were the co-chairs in Hilary 2019 and this term we will be helping Grace and Arya with any advice and assistance they might need. We hope it will be a great term!